The last line of the receipt (recipe) for To make Red Gingerbread is: This is your gingerbread, used at the Court, and in all gentlemens houses at festival time. Pictured is the gingerbread that was made by my granddaughter. 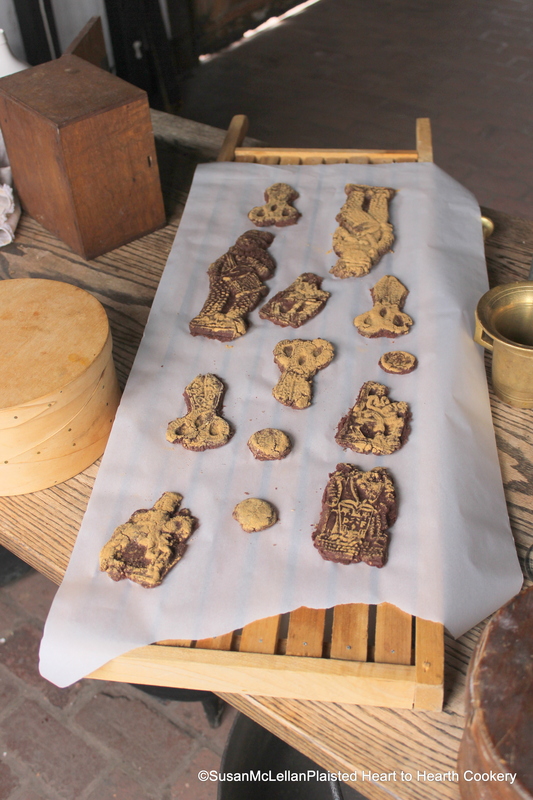 I molded only four and was more sparing with the ginger and cinnamon in dusting the molds.